and Kate soon realises that her questions are putting their lives in danger. Stalked by an unknown and sinister enemy, she must use her tough journalistic instinct to find the answers from the past  before she has to say goodbye to her future. In the 1920s, in a beautiful Italian villa called Il Piacere, the playwright Galeazzo D'Ascanio lived for Celia Sands. She was his muse and his mistress, his most enduring obsession and the inspiration for his most original play. But the night before she was to perform the leading role, she disappeared. Some sixty years later, a theatre in the grounds of Il Piacere, Alessandro D'Ascanio is preparing to stage the first performance of his grandfather's masterpiece. A promising young actress - who shares Celia's name, but not her blood - has agreed to star. She is instantly drawn to the mysteries surrounding the play, and to her compelling employer. And even though she knows she should let the past go, in the dark - in her dreams - it comes back. "Powerful, atmospheric, enthralling, and simply mesmerizing, [ The Winter Sea ] is one of the best books you'll read this year!­" -­Singletitles.­com "Susanna Kearsley's obvious love of history is infectious... The Winter Sea is an acknowledgement that so many of us are haunted by the deeds of our ancestors, perhaps literally...­" -­Gail Anderson-­Dargatz, international bestselling author of A Recipe for Bees History has all but forgotten... In the spring of 1708, an invading Jacobite fleet of French and Scottish soldiers nearly succeeded in landing the exiled James Stewart in Scotland to reclaim his crown. Now, Carrie McClelland hopes to turn that story into her next bestselling novel. Settling herself in the shadow of Slains Castle, she creates a heroine named for one of her own ancestors and starts to write. But when she discovers her novel is more fact than fiction, Carrie wonders if she might be dealing with ancestral memory, making her the only living person who knows the . . . Compelled to help, Nicola turns to a man she once left, and still loves: Rob McMorran, whose own psychic gifts are far greater than hers. 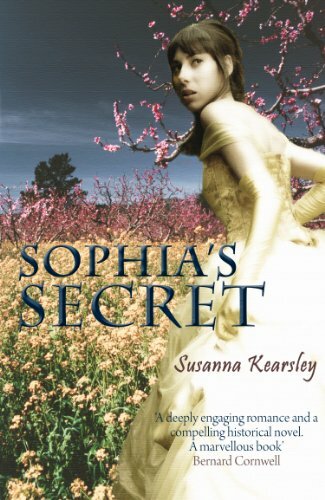 With Rob to help her “see” the past, she follows a young girl named Anna from . . .